Tranquility at its best! 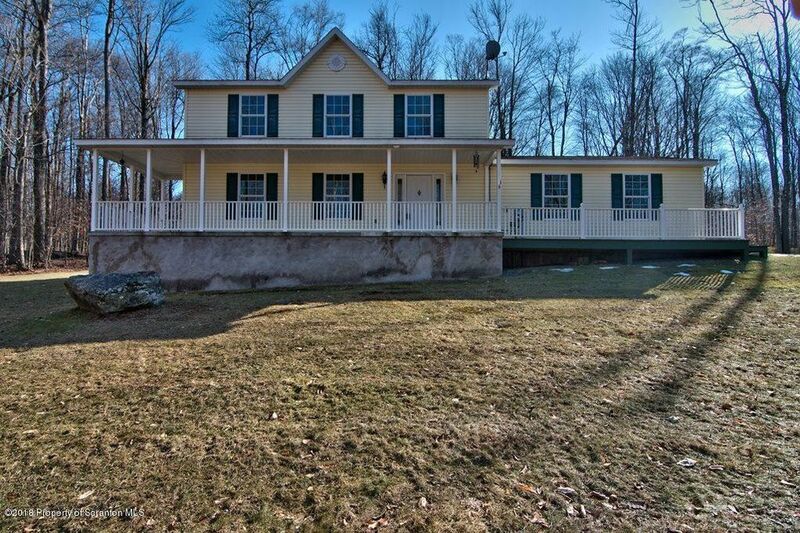 Come see this pristine home nestled in the woods on 5 acres of privacy. Some of the features of this home are hardwood flooring, new kitchen cabinets, counters and stainless appliances. This home is pristine and has 3 different heat sources, including a heated garage. Enjoy your summers at Lake Kahagon and yet you are still less than a ten minute drive to downtown. Directions: From Blakely take PA-347 S, I-380 S, PA-307 S and Jubilee Rd to E Lake Rd in Madison Township Take Blackberry Hill Road and Solitude Dr to Iroquis Dr follow driveway to the top.